A year ago this week, people were panicking. The Chinese stock market had crashed, loudly. There were all kinds of fears around what impact this would have on the rest of the world. So what I’m going to do is re-share a post that I wrote at the time, followed by an update on what’s happened since then. China is sneezing (maybe – who knows?) – and almost every algorithmic investor is getting itself worked up into a hot mess over whether it has a fever. In particular, I recall that the markets quickly recovered, and were soon cresting new highs. We were late in the business and market cycle and the global economy looked shaky. Emerging market stocks cratered 40%. Commodities fell over 25%. The dollar rallied over 20% against most major currencies. Asia looked liked it was falling apart. No one knew what the impact would be in the USA and stocks seemed to hang in there for a while, but then they suddenly fell 18%. No, I am not describing the current environment. This was 1998. 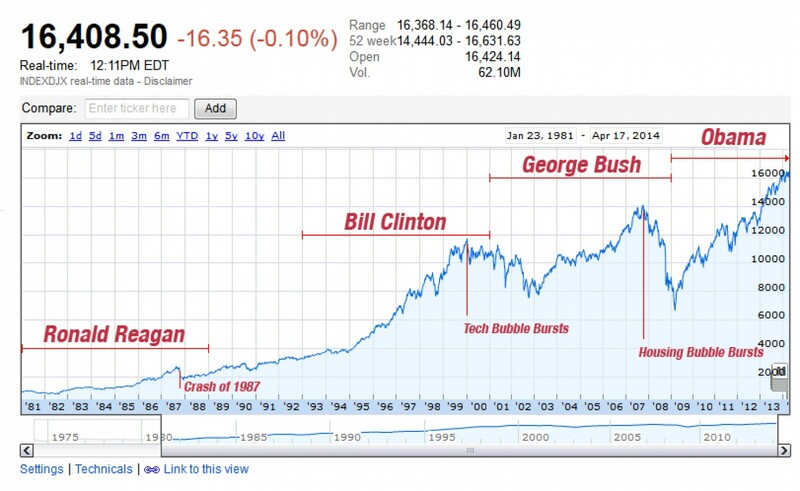 It was eerily similar to the current market environment. And you know what happened next? The US economy went on to have one of its best years ever. The very next year GDP grew at its best rate of the recovery and the economy looked so strong that US stocks went into an irrational bubble as they surged 54% in the next 18 months before ultimately succumbing to the tech bubble. 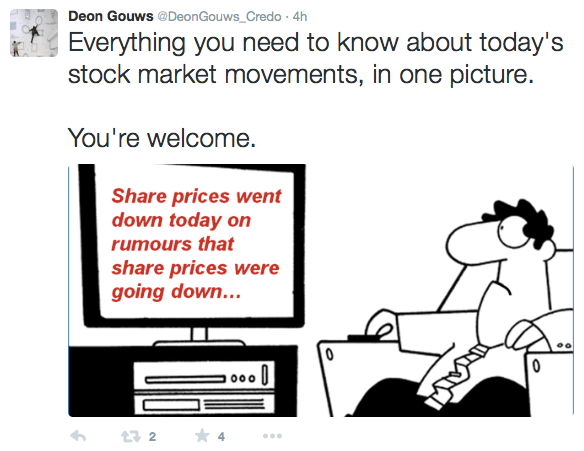 Good news: the markets recovered from all of those, and strode on to discover new highs. Observation: we’ve coined phrases like “irrational exuberance” and “asset bubbles” to describe the top of the market – but we don’t really have phrases for “irrational opposite-of-exuberance” and “asset opposite-of-bubbles” to describe the troughs. About the best that we can offer is “a market correction” – but the phenomenon is more like an asset suction cup, where investor panic is unnaturally forcing asset prices into the floor, but once that pressure subsides, then prices recover. I’m not sure if that’s the case here – perhaps this is just a price correction. Certainly, China’s stock market seems to be going through a correction. As for the rest of the world…I’m less convinced. When a stock market is overflowing with exuberance, you get stock market bubbles – in which there is no apparent reason for new highs in asset prices other than general investor sentiment, which then becomes self-reinforcing. 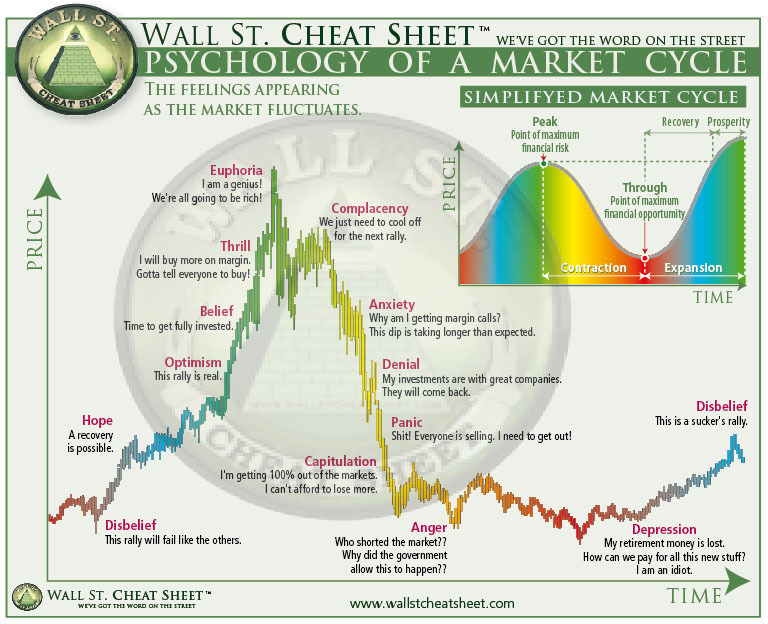 And then it crashes when a small prick (like a few poorly-timed margin calls to stretched investors) starts to pull prices back, and more margin calls lead to more price falls, and then the margin-purchasing bottom falls out of the market, and we’re in free fall. Does this describe the Chinese stock market? Absolutely. Does this describe the US and European stock markets? These have hardly been stock markets overflowing with exuberance. They have, however, been stock markets overflowing with money. Because quantitative easing, hello. As in: there is a very apparent reason for new highs in asset prices. It’s all that QE money that is flowing around the system, looking for any small space to be lodged! As I see it, the stock market recovery since 2008 has not been a price bubble – it has been a return squeeze. The nature of capital is to seek out return – and when it can’t find great returns, it looks for least-bad-returns. Alternative Assets (Art, Vintage Wine, etc) – are too small for the vast amounts of capital in the system, although great when you can find them. As an asset class, equities have the structure and market depth to absorb the excess money in the system. So I see this as a fundamental shift in asset pricing based on investors being willing to accept lower returns on their capital (hence the higher prices). 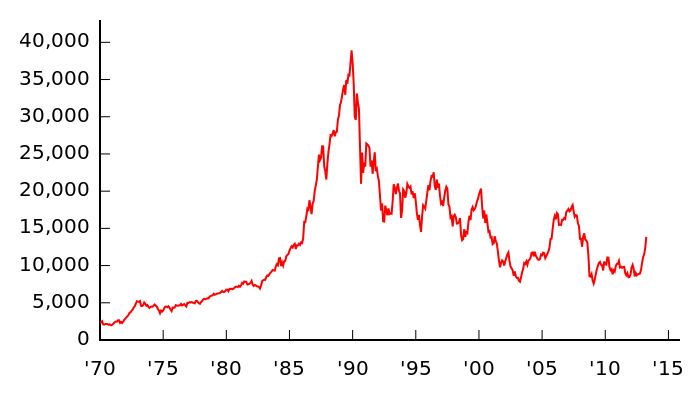 In which Japan’s stock market bubble collapsed, and has never since recovered. There are very few other developed markets that have suffered from this kind of market dullness (I actually can’t think of any others). 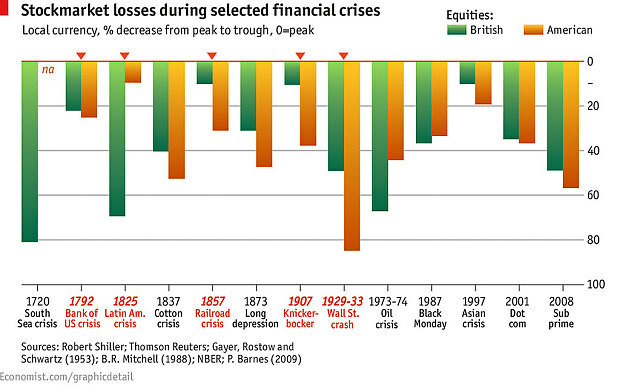 The US Stock Market Crash of 1929 lost comparatively more value than the Japanese Stock Market did in the late 1980s, and the 2008 Crash came close – but US equity markets recovered in both cases. The empirical evidence…is on the side of recovery. Also, see earlier point on QE, which was done in order to avoid becoming Japan. And when all else fails, buy Art. So not looking so bad for America, right? Of course, this could all just be market-crazy – because Trump. But still, for the most part, things are better a year on, not worse.